Share the post "Interventional Radiologists and Fibroids"
Ever wondered why Interventional Radiologists perform the UAE procedure? 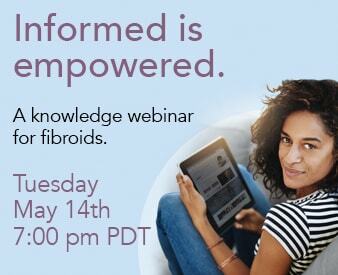 Find out how and why they are involved with Uterine Fibroid Embolization. Interventional Radiologists (IR) are specially trained doctors who use their expertise in reading x-rays, ultrasound, and other medical images to guide small instruments through blood vessels and other pathways to treat disease without an open surgical incision. Most of the procedures performed by Interventional Radiologists do not require an open surgical incision and are performed using imaging guidance such as: x-ray fluoroscopy, CAT scan, ultrasound, and/or MRI. IR doctors are specially trained in performing these procedures and this training is certified by the American Board of Medical Specialties. While gynecologists are specially trained to performed hysterectomies, myomectomies and other surgical procedures, most of them have not been formally trained and therefore do not possess the skills necessary to perform uterine fibroid embolization. Dr. Bruce McLucas, however, is a gynecologist that is also certified in interventional radiology. For this reason, he is able to both give gynecological consultation and perform the UFE procedure. This ultimately serves as an enormous benefit due to the fact that he is able to follow through with treatment of his patients from start to finish, further allowing them to receive the best care possible. With the knowledge and skill of both fields, Dr. McLucas’ patients are rest assured that their health is in good hands. If you would like to learn more about fibroids and UAE or have any additional questions, please give the Fibroid Treatment Collective a call at 866-362-6463 and they will be more than happy to schedule you for a consultation. Your answer to better health is only a phone call away, so give the Fibroid Treatment Collective a call so they can help you get on the path for a happier, healthier fibroid-free lifestyle!